The idea that social media influences organic search success is still very much up in the air considering the debate between correlation and causation. While some camps stand firmly behind Google’s head of Web Spam Matt Cutts’s strong assertion that the world’s leading search engine will never use social signals to dictate visibility and rankings, there are others who prefer to pay attention to the reputable studies and tests that are demonstrating a direct association between volume of social shares and premier search listings. Regardless of what side of the aisle you stand on, there is reason to believe that Social Media and Organic Search do compliment each other when integrated successfully. From a theoretical standpoint, it is logical that search engines would consider social engagement as a specific variable that validates quality and meaningfulness of a particular online experience. The World Wide Web is by nature a social environment that allows people from all over the world to interact with each other through the distribution of thoughts, concepts, services, and transactions. With this in mind, insisting that Google and other search engines shun social activity when it fosters and promotes dialogue, action, and reaction on behalf of online users seems counterproductive to the original intent of the Internet. From a practical approach, there are numerous studies that demonstrate a clear cause and effect between the volume of social shares/comments a particular landing page receives and its ability to rank high on search listings, even if it’s only for a limited time. I recently had the opportunity to serve as a keynote speaker at the 2014 SouthWIRED digital marketing conference in Atlanta, where I presented the concept of “Social SEO” and fostered a discussion on how strategists can complement their ongoing organic campaigns with social media. 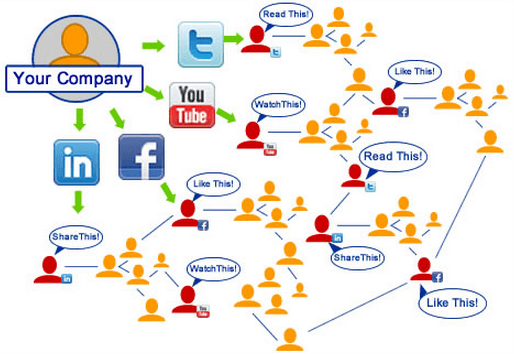 It is very important to understand why Social SEO stands to have a significant impact on Organic Search. At the end of the day, Google is a business. And, just like any other business, their job is to make sure their clients are exposed to an experience that is seen as more authoritative and rewarding than their competitors so that people continue to return to them as a primary resource. Unintentional negative connotations aside, an SEO strategist’s job is to manipulate content in order to align with various ranking factors within Google and other search engines’ algorithms. This means what consumers find at the top of a search results page comes with the psychological assumption that the first listing is in fact representing the best product, service, or information. At the end of the day, the top listing is more about the authority of a particular website combined with how well optimized a specific destination or landing page is, not that the result itself is the most viable, usable, or rewarding product in the world. So if Google and other search engines spend millions of dollars and man-hours trying to provide the most rewarding experience and authoritative results to their clients, why would they allow SEOs to dictate quality instead of leveraging behavior derived directly from the masses? Taking this into account, Social SEO clearly stands to become the “next big thing” when it comes to supporting or even dictating visibility. It is important to understand the difference between general social media habits and the ability to use a consumer’s social activity as a means of supporting organic search. Most businesses are still skeptical that social media is a viable means of accelerating visibility and conversions because they see it as a digital photo album full of filtered “selfies” and cell phone videos of cats. Social SEO is actually the application of social signals that derive from individual behavior, with “behavior” referring to action and reaction. Based in 2011, Google released a “Social Search” patent that allows them to use relationship connections in a social network to better answer searchers’ queries. In this patent, Trust is a quantifiable term, measured as “intimacy,” which refers to individual behavior and action in terms of sharing or commenting on a particular form of content. At its core, Social SEO is all about influencing influencers to engage with content, which boils down to asking the popular kids to talk about how they like your product best. When a particular brand’s followers and fans interact with their website or a specific form of content, they are in a sense recommending this destination to their respective social connections. It is through these “recommendations” that rankings can improve at scale. While some people have read that social signals don’t matter to SEO, it’s possible we don’t fully understand some of the disclaimers offered by Matt Cutts and other industry leaders/authorities. The fact is, there is an unfortunate history of SEOs swarming around misinformation and overusing singular tactics and strategies as a means for improving visibility and rankings. From Google (and Matt Cutts) perspective, they are primarily concerned with the state of their own platform and do not want everyone under the sun to focus squarely on implementing one or two tactics, especially when it comes to content development and optimization. What they do want is an all-encompassing, robust, rewarding online environment that is diverse in form, feel and nature. The reality is that all forms of content can, and should, be used to help promote the authority of a specific online destination, as long as it is relevant to the brand and that content is not being created for the mere sake of creating it. This supports the notion that Google and other search engines look to offer a quality, diverse online experience able to satisfy and align with any individual user’s needs and demands. Originality, credibility, and authenticity determine results, not the form of which the content you are creating takes on. Based on the perception of value, search engines determine what forms of content to provide online users. In 2014 and beyond, rankings are partially determined by the volume of social shares and comments a particular online destination receives. Since the dawn of the Internet, search has evolved, and it continues to do so. Today’s results are no longer solely determined by the volume of keywords that exist on a landing page or the amount of links a website contains. With these considerations, the desire to provide personalized search results combined with the social dynamics of the web are exactly why today’s search landscape demands social approval. 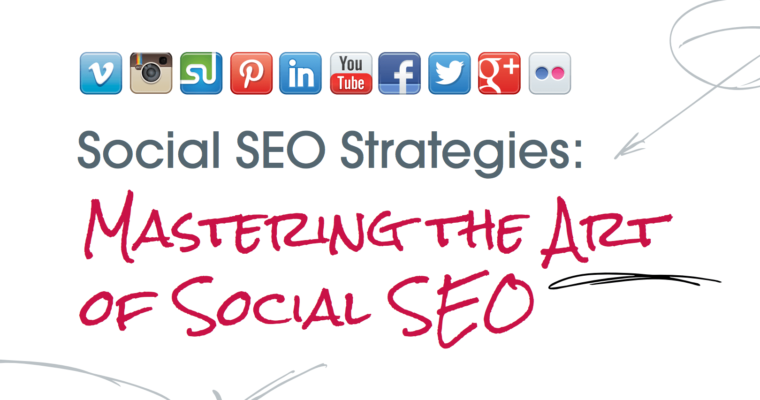 Social SEO is the use of social signals to advance a particular brand’s visibility within Organic Search results. Search engines like Google and Bing use these signals to measure the validity and credibility of a particular form of content or of an online destination. As search engines continue to incorporate additional social factors into their algorithms that measure quality, brands will need to invest in Social SEO in order to remain competitive and to achieve optimal results pertaining to online brand awareness, traffic and conversions. For more information on this subject, make sure to check out the entire presentation through the video below.